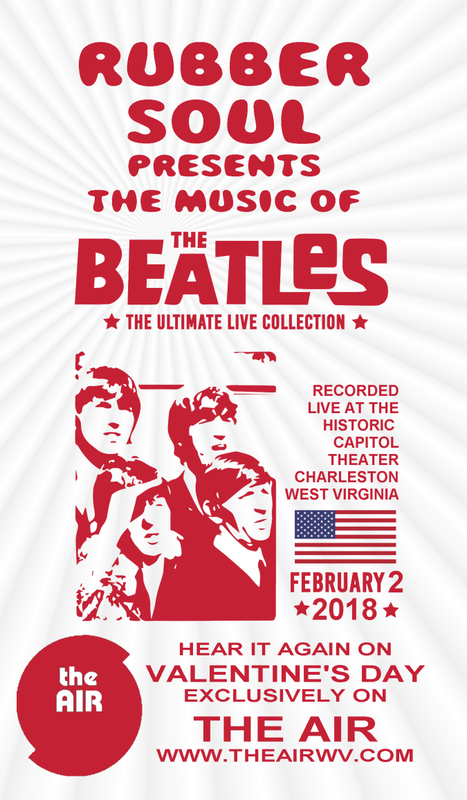 This concert was held on February 2, 2018 (with a little spillover into February 3) at the Capitol Theater on Summers Street. 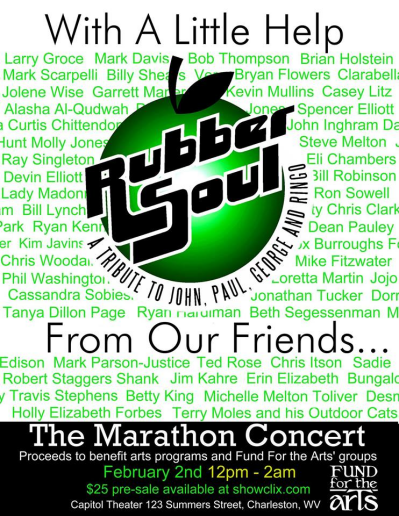 Dozens of guest musicians joined in as Rubber Soul performed over 200 Beatles classics in a 14-hour-plus concert. We are bringing you a bit more than 98% of that show. A few songs were spoiled by audience noise, since we recorded the show with a microphone set up in the back of the hall, but we do have all the high points of the day. 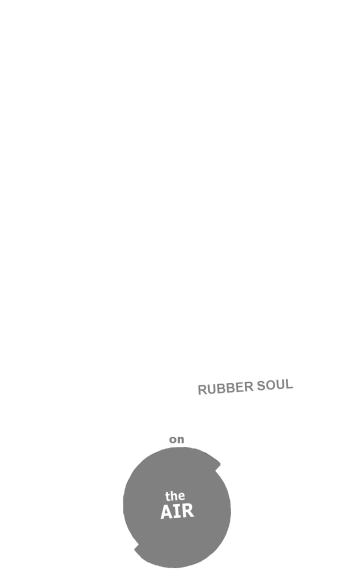 Rubber Soul is the brainchild of Mark Scarpelli, as was this idea of performing over two hundred Beatlesongs in one go. 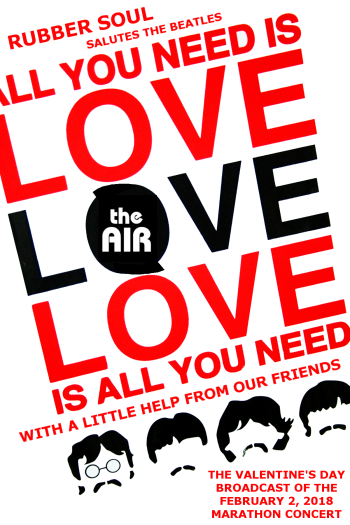 Rubber Soul is Mark, Greg Hunt, Garret Maner, Michele Toliver, Bryan Flowers and Brian Holstine, and they did an amazing job, with a little help from their friends. After the jump, you will see the entire song line-up, with approximate breaks for every hour. Guest performers are listed after each song and are vocalists, unless otherwise noted. 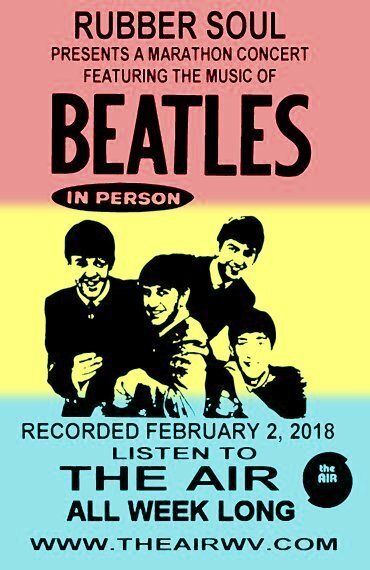 If there’s no guest listed, that means that it was a member of Rubber Soul singing. We did not present the show in the exact order that it was performed, but it’s pretty much as it was seen that fateful Friday. It was an honor to witness this amazing feat, and an even bigger honor to contribute a little to the script for Larry and Mark to use while introducing the songs. Talks are underway to see if they can do this again next year, and you can be sure I’ll be there. 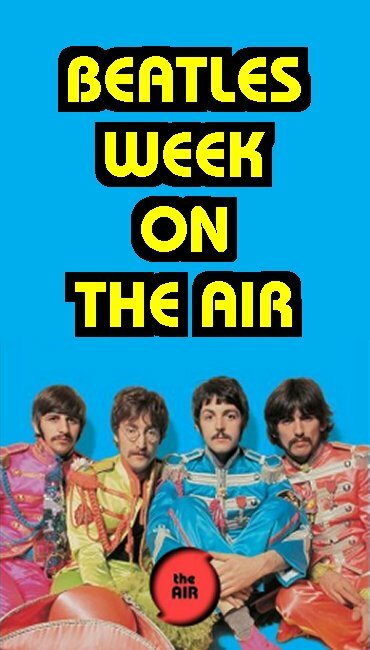 We will air this marathon again on Saturday, February 17, and we’ll keep you posted on future replays next week and the week after.